Lefty groupthink can prove harmful to your credibility. That's what happened to CBS and other lemmings who took up tennis star Serena Williams' cause of "sexism" in tennis after her loss to Naomi Osaka of Japan in the Sept. 8th championship match of the U.S. Open women's tennis tournament. The New York Times has since reported that men are punished (see photo of unnamed male tennis pro abusing umpire) by tennis officials three times as often as women, deflating charges of sexism by Williams and her compliant media. Amazon founder and current Washington Post owner Jeff Bezos must be quite relieved that he passed on investing millions in Ezra Klein's pet project. A Justin Lynch column ("Wartime Press") originally posted at the Weekly Wonk and republished at Time.com with a more foreboding title ("Bloggers, Surveillance and Obama’s Orwellian State") really ends up being an attempted justification by those Lynch quoted for having a close alliance between the government and "journalists" with "professional standards." Thom Shanker, the Pentagon correspondent for the New York Times, gets the award for the most Orwellian quote in the litter, which will come after the jump. Its prelude is his belief that "The government really needs to get its message out to the American people, and it knows that the best way to do that is by using the American news media." Excerpts follow. As conservatives, we know what happens every time we criticize the policies of the liberal occupant of the White House: We're instantly branded as “racist” and “intolerant” while our views are quickly and summarily dismissed. However, Kevin Drum, a political blogger for the liberal Mother Jones website, has received similar treatment as he learned that no matter which side of an issue he supports, his mailbox on the Twitter social media website quickly fills up with emails from people taking the opposite view. Earlier today (at NewsBusters; at BizzyBlog), I noted how the Associated Press's Steve Peoples and Politico's Juana Summers could only find hundreds of people attending GOP vice-presidential pick Paul Ryan's Wednesday appearance at Oxford, Ohio's Miami University. Perhaps even more troubling is how they somehow chose an odd angle for their coverage, namely that Ryan has supposedly avoiding talking about Medicare in his stump speeches -- and both wrote "that changed" in describing its first mention. In a September 15 post-primary item at the Atlantic ("An Epic End to the Primaries: What It Means"), politics editor Marc Ambinder presented seven "different ways to look at the primaries of September 14, 2010." The bolded text is an obvious point to anyone with even the most rudimentary powers of observation, but it's a pretty interesting admission nonetheless. That's especially true because Ambinder is a bona fide member of the media. Indeed, he's a self-admitted Journolist member who despite (or perhaps because) of that involvement has a specific assignment involving covering this fall's elections. Roger Simon's Wednesday morning column ("Journolist veers out of bounds"), an item Rush brought up on his show this afternoon, may be one of the most delusional items ever written by a journalist attempting to defend his profession. 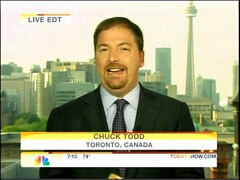 Rich Noyes at NewsBusters covered one aspect of Simon's column on Wednesday, namely the deliciously hypocritical outrage of NBC/MSNBC reporter Chuck Todd over how the Journolist scandal "has been keeping him up nights, and he's especially frustrated that 'the right' would use it as 'a sledgehammer' against everyday journalists, 'those of us who don't practice advocacy journalism.'" The Daily Caller released a new JournoList scoop today, and this one's a doozy. It confirms that reporters on the liberal media listserv did in fact collaborate with political operatives and campaign officials to spin media coverage in favor of Barack Obama. The latest piece further debunks JournoList founder Ezra Klein's claims - also taken on by this humble blogger - that the email list did not include campaign or government officials, and was not used to manufacture talking points. 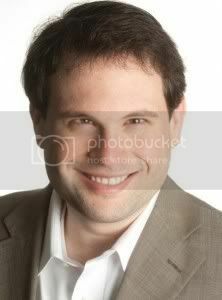 In fact, two members of the Obama campaign, Jared Bernstein and Jason Furman, were JournoList members during the race. Jeff Hauser reportedly signed a number of JournoList emails "Campaign Manager, Shulman for Congress," while he worked on New Jersey Democratic congressional candidate Dennis Shulman's campaign. And talking points were a much-discussed issue. "JournoList’s greatest challenge is to make sure an actual win by Obama translates into winning the battle for political impact," Houser stated on one occasion. It doesn't get more explicit than that. Managing Editor's Note: What follows is an open letter from NewsBusters publisher Brent Bozell to Washington Post executive editor Marcus Brauchli about the controversial [now defunct] e-mail listserv JournoList, founded and operated by the Post's Ezra Klein. The only problem, of course, is that Todd and other ostensibly neutral reporters at NBC have gotten "mixed in with journalists with an agenda" via the entire MSNBC project. Keith Olbermann, Rachel Maddow, the upcoming Larry O'Donnell show -- these are not programs designed to boost the "credibility of journalism." They are liberal agenda shows designed to push one side -- Journolist on TV, as it were. Tucker Carlson's website The Daily Caller has unearthed a treasure trove of liberal journalists talking (nastily) to themselves in a private e-mail list about how they should use their media power to remake the world in their image. The funniest thing about this expose of “JournoList” was witnessing journalists say it was unfair to leak these e-mails when reporters had an “expectation of privacy.” More than 90,000 pages of secret documents on Afghanistan have been leaked and journalists are tripping over each other in a mad stampede to cover the story. Everyone should laugh heartily at leak-devouring journalists getting a fistful of their own bitter pills. The saddest thing about all this is the confirmation (as if it were necessary) that liberal journalists really aren't journalists first. They're political strategists. They pretend to be the Hollywood version of Woodward and Bernstein, the brave sleuths digging out government malfeasance and corruption. But in reality they're the Woodward and Bernstein who plotted how to get Richard Nixon impeached and ready the way for pacifist and socialist “Watergate babies” like Chris Dodd and Henry Waxman to take seats of power. Ethics are only relevant if they’re a weapon. Barely a month after Dave Weigel resigned from the Washington Post, he has been hired by…the Washington Post. Well, to be more specific, by Post subsidiary Slate Magazine. Michael Calderone tweeted the news this evening, and Weigel confirmed shortly thereafter. Weigel's resignation came after it was revealed he had made derogatory and highly offensive comments towards prominent conservatives on the liberal media listserv JournoList. Those included suggesting that Matt Drudge should set himself on fire, wishing death on Rush Limbaugh (incidentally, he wasn't the only JournoLister to do so), and dubbing Newt Gingrich an "amoral blowhard." It wasn't the first time Weigel got in trouble for offensive comments. It wasn't the first time he took heat over comments made about Matt Drudge. He also called gay marriage opponents bigots, sparking outrage from some on the right. Since Weigel had been hired to cover the political right, most conservatives believed he would be a counterweight to Ezra Klein, who covers the liberal beat on his own WaPo blog. Weigel's comments confirmed (though anyone who had read his work already suspected) that he would not bring that hoped-for balance.